Q: How do you think? I think what I cannot know. I think what I live too intimately, that force is another way to name living. How the sheepish moon followed me through the cream Pontiac’s window, how it whispered its love before the infamous beating that broke our wooden spoon on my sister’s screaming back. Twins, before we unstitched our ﬂesh-minds from the other, for good. The feeling of inﬁnity. The way we played mind over matter until it was no longer possible to pretend there was any difference. I think through love songs, written for rotten things. Q: Where is your memory? I ﬁnally confessed what he never told. into wells to bloat themselves against shame. Q: What are your seams? I began to wonder whether the edges of my body were as discernible as they seemed. Can we look at each other and say this is the distance between us? Or here, this is our edge? I learned these with medical authority, articulate conviction. I was seeping unwitnessed into other openings, imperceptibly devouring other bodies. the touch, what we keep naming Science. Q: What births are yours? that held a startled gaze, then ﬂushed itself into other lives. the crumpled brown mammal, to return to the labor of other mothering. memberment, her most coveted wish. Q: Why do you bleed? The bleeding you imagine is temporary, and mine. This posed a kind of problem for intimacy. with the pus and bloody ooze of them. how decay could become so effortlessly stunning. of ceaseless work, of forgetting the body. of peeling away her cyclical forgetting. Julietta Singh is Associate Professor of English and Women’s, Gender, & Sexuality Studies at the University of Richmond. She writes and teaches at the intersections of postcolonial studies, feminist and queer theory, and the environmental humanities. She is the author of Unthinking Mastery: Dehumanism and Decolonial Entanglements (Duke University Press, 2017). 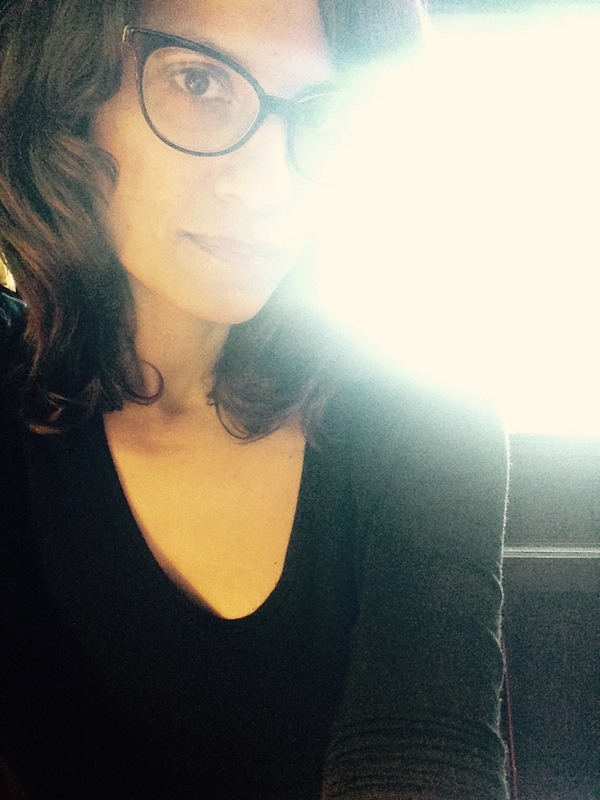 Her creative work has appeared or is forthcoming in poetry and cultural criticism venues such as American Poetry Review, Social Text, and the Journal of Postcolonial Writing.